enjoy a welcome cocktail with the crew. Enjoy dinner and an evening of onboard entertainment. CLASSIC : Tour the Danube Delta and walk away with impressions that will last a lifetime. DISCOVERY as a supplement: Delta Danube on a speed boat. On board a 7-passenger speed boat, you’ll tour the Danube Delta and enjoy the flora and fauna. We will cruise to Oltenita and travel through Romania. Our ship will cruise through the night. CLASSIC : guided visit of Bucharest. Bucharest offers a striking combination of architectural styles: orthodox churches, Empire-style manor houses, Communist-inspired architecture, and the Parliament (outside only - entrance fees not included). DISCOVERY as a supplement: Bucharest: the legends of dracula. Full-day excursion chasing the legends of Dracula! We'll head for Bucharest, but first we’ll stop off at one of the most mysterious sites involved in the legend. We’ll enjoy lunch in the city and return to the boat in Giurgiu. We’ll cruise to Ruse, one of the biggest ports in Bulgaria. Enjoy an evening of traditional entertainment. Excursion common for both packages: tour of Ruse. The city is impressive with its broad avenues, large squares and wonderful buildings which pay tribute to the architecture of the national Renaissance. After our tour, we’ll return to the ship and begin to cruise all afternoon. We will pass through two countries, Romania on the left bank and Bulgaria on the right bank. Our ship will cruise through the night. DISCOVERY as a supplement: Biking in Belgrade. You'll cycle along the history-filled streets with your guide, who'll explain the city's recent past from World War II to current times. After our tour, we'll return to the ship. Excursion common for both packages: Guided tour of Novi Sad. We'll start cruising in the direction of Mohacs. We’ll arrive in Mohacs. In the afternoon, excursion common for both packages: The Puszta. We'll return on board in Kalocsa and cruise to Budapest. Enjoy a Hungarian feast this evening. Our ship will cruise through the night. DISCOVERY as a supplement: Budapest by bike. 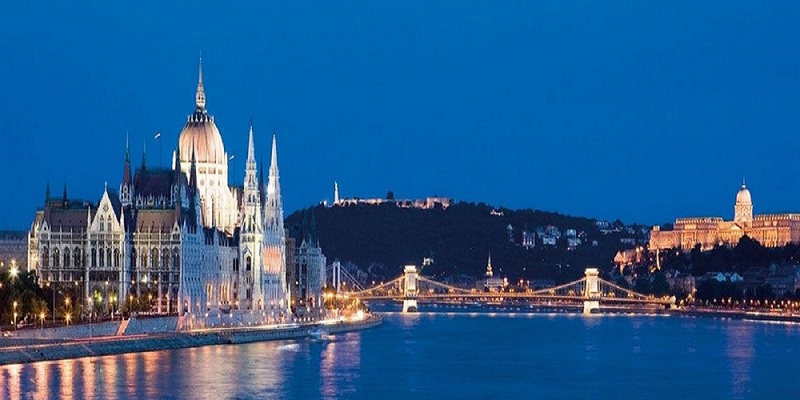 You'll see all the important sights of the city on an easy-paced ride, cycling through the historical center of Hungarian culture and many other legendary sites in Budapest. Enjoy a free afternoon in Budapest. Optional (not included in the packages): Discover the Gellert Baths and Spa. After our visits, we'll begin to cruise to Bratislava. Our ship will cruise through the night. DISCOVERY as a supplement: Hiking in Bratislava: The Little Carpathians. From Devin Castle, we'll take in the splendid view of Bratislava. We’ll then return on board. Our ship will cruise to Vienna. CLASSIC: Visit to Schoenbrunn Palace, former summer residence of the imperial family, and panoramic tour of Vienna. CLASSIC: Concert of Viennese music (subject to availability). DISCOVERY as a supplement: An evening in Grinzing, a village on the outskirts of the city still holding much of its traditional charm and convivial atmosphere. You'll have a seat in a famous Heuriger tavern, where you'll be able to taste the local wines and other specialties from the region surrounded by authentic ambiance. Our ship will cruise to Melk during the night. Once we arrive in Melk, join us for an excursion common for both packages: Visit the Melk Abbey. Originally a Baroque-style palace built between 1702 and 1736, it is now a Benedictine monastery that hosts a prestigious coed school with more than 900 students. We'll then return on board and depart for Linz. Tonight is our festive gala evening. Our ship will cruise through the night. Enjoy breakfast before disembarking at 9:00 a.m. in Linz. End of our services. Passengers are welcome to board the ship. After comfortably settling into your cabins, enjoy a welcome cocktail with the crew. Enjoy dinner and an evening of onboard entertainment.